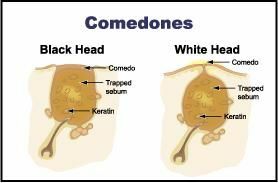 Before we discuss how to get rid of comedones, let’s first have a look at what comedones are. The word “comedo” originated from a latin word meaning worm-like structure. A comedo is a clogged pore in our skin caused by an excess of oil production in our glands. Comedones occur mainly on the chin and forehead with acne. Open comedones are known as blackheads and closed are known as whiteheads. Another type of comedo is the solar comedo that is caused due to sun damage. 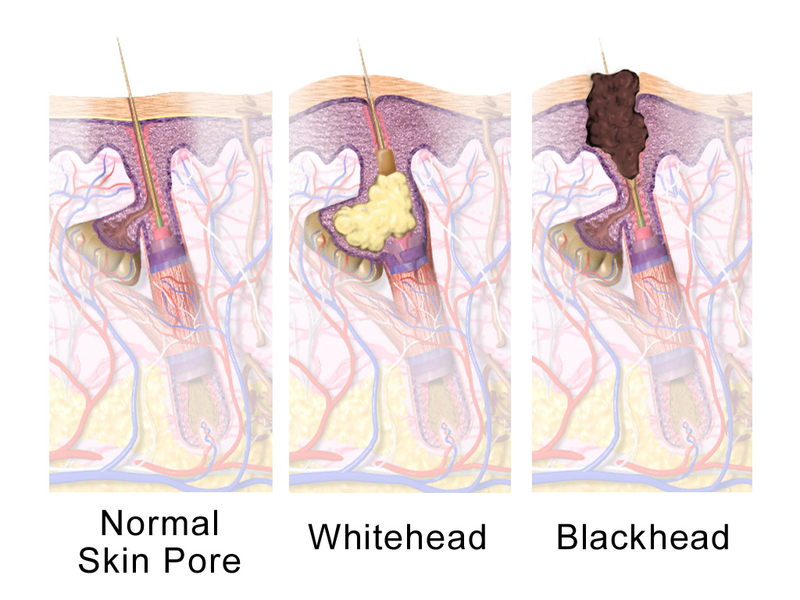 Read More: What is a blackhead? Comedones are so small that they are hardly visible to our naked eye. Excess oil production during puberty and for pregnant women. Dietary factors such as milk products,sugar, and fats. Excess production of testosterone in males. Touching and scrubbing comedones may lead to an outbreak. Genes can also play a role in development of comedones. Some skin products can also cause comedones. Smokers are more prone to comedones. A mixture of honey and egg whites is one of the natural ways of removing comedones or blackheads. This process involves whisking one teaspoon of honey with an egg white. Apply the mixture to your face in a circular motion with a warm, soft towel. Continue scrubbing for at least 15 minutes; repeat the process at least 3 times a week. Wash your face with warm water and rub it gently with a soft, warm towel. Then make a paste with baking soda and water and gently scrub this paste with your fingers on your skin for 15-20 minutes. Moisturize the paste frequently if it becomes too dry. Repeat this process at least 5 times a week. Jojoba Oil is also one of the effective ways of removing comedones. It contains vitamin E which perforates into the skin without blocking pores. It has the ability to prevent the skin from becoming oily. To use, start by washing your face to remove all the dirt and oil that has accumulated. Then apply a few drops of Jojoba Oil on your face and massage it gently into the skin until it is absorbed. Next, scrub your skin with a warm, wet, soft towel. Repeat the above steps 2 times daily. Before deciding to use an extractor on your own instead of by a professional esthetician, take note this tool can cause scarring if not used properly. If you want to use it, first wash your face to clean all the dirt and oil from your skin. Next, boil water in a pot on a stove; keep the pot of boiling water on a flat surface and place your face over the boiling water so the steam touches your skin. Do this for 15-20 minutes so the steam loosens up your comedones making it easier to remove them from your skin. Finally, take a comedones extractor and start removing your comedones. All of these products have had rave reviews for removing acne/comedones.